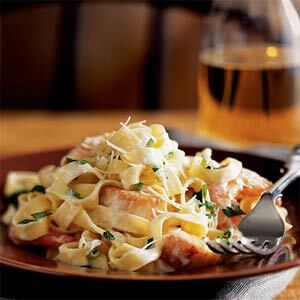 This Seafood Fettuccine Recipe is a signature item for the restaurant. It has been a secret restaurant recipe for many years ...until now. It is deliciously rich and marries great flavors perfectly. AND you can substitute any seafood you want or like! 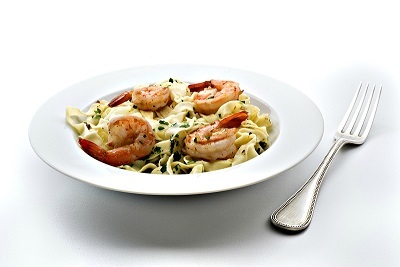 AND if you want a wonderful seafood sauté, you can simply leave out the pasta. You can serve the seafood over rice! What flexibility! Preparation time: about 20 minutes. Serves 2-3 generous portions. Thanks so much for "finding" the website and for your interest in restaurant recipes ... recipes that work. 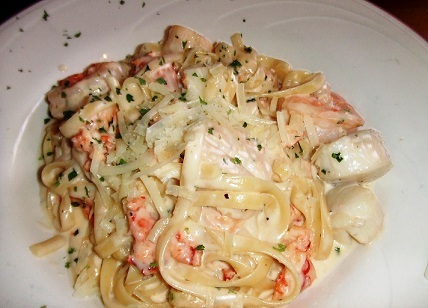 Enjoy your famous Seafood Pasta and the company of those you share it with! "I just starting eating pasta and I was like, 'Wow, man, all my problems are gone. Where did they all go?'"